Plan your trip to Montreal with the information you'll find here: How to get to Montreal, driving distances to Montreal from major cities, crossing the Canadian border, choosing a hotel, eating in Montreal, and what to see and do in Canada's most entertaining city. Are you driving, flying, or taking a train to Montreal? Check here first for helpful tips on getting to Montreal including all the information you need for crossing the Canadian border. If you're coming from Toronto, consider the train for a quick, scenic route from downtown to downtown. Staying in Montreal? Lucky you. With more than 15,000 good value hotel, bed and breakfast, and hostel rooms available, finding accommodations in Montreal is a breeze. Be sure to check out last minute room specials by price range and neighborhood. Are you looking for authentic French food? What about specialty dishes from around the world? How about the freshest and best seafood in North America? In a city of 5,000 restaurants where the residents live to eat, it's almost impossible to get bad food here. Because the Quebecois insist upon good food at excellent prices, dining in Montreal is a real treat and an excellent reason to visit the city. Are you an art lover or music fan? Are you traveling with Kids? Do you consider yourself a shopaholic? 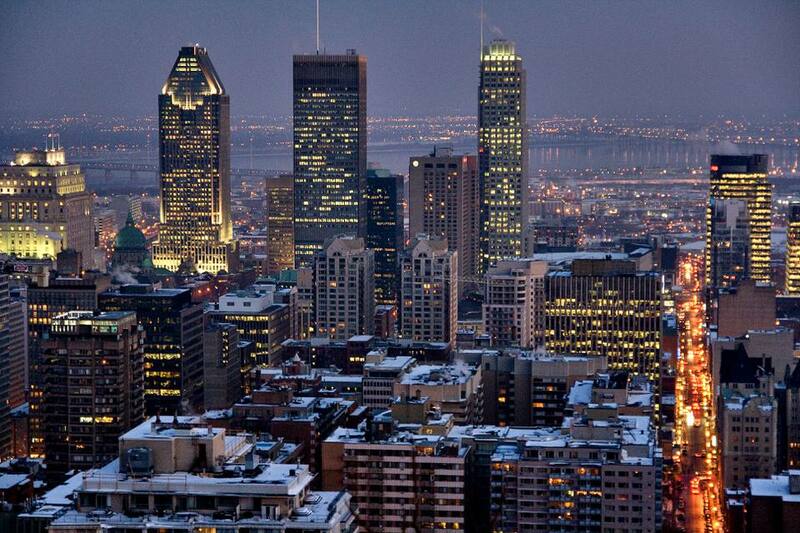 Montreal, which is Canada's most vibrant city, caters to all interests. Museums abound, and the local music and theater scene is hopping. To enjoy all Montreal has to offer, indoors and out, bring a good pair of walking shoes.